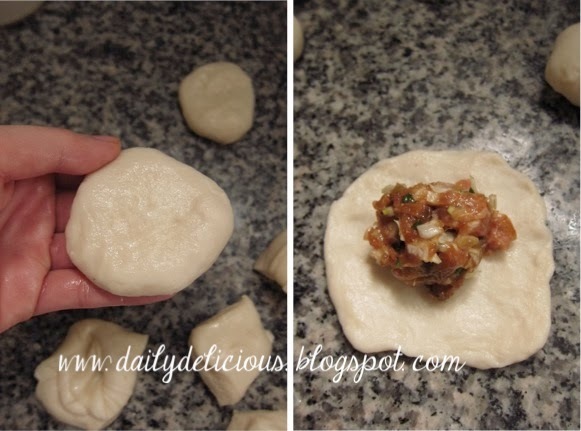 dailydelicious: Baking powder pork buns (肉まん): Easy and quick snack! 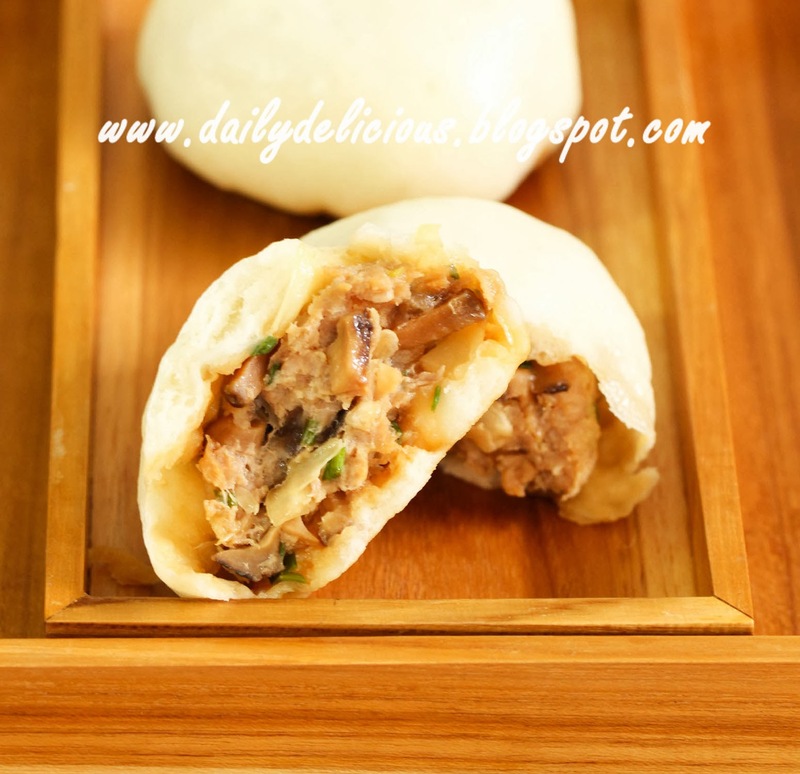 Baking powder pork buns (肉まん): Easy and quick snack! Tomorrow is Chinese New year ^^, I think that it will be good to make something related to this event. Anyway I made traditional Chinese Steamed Buns with Minced Pork before but that one contains yeast and I know that some people have a problem with it (don't have it, or allergic to it). So, this time I make Baking powder pork buns instead, as the name states this one use baking powder as a raising agent, no need to let the yeast does the work, so the resting time is short. You just let the dough rest to make the dough easier to flatten when filling it. 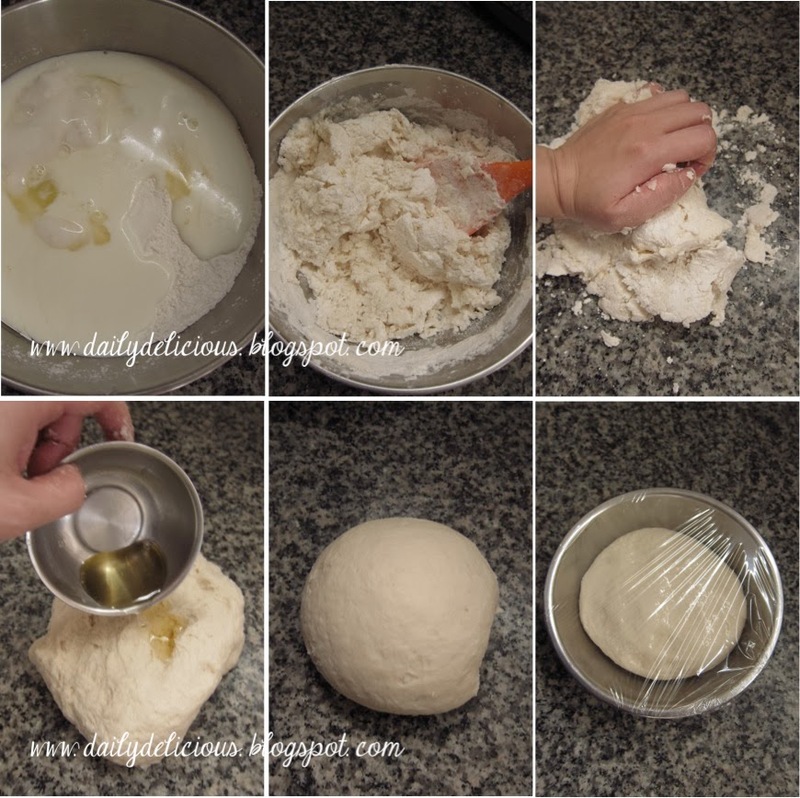 Because this one use only baking powder, the dough won't puff up as much as the yeast+baking powder one, but it's great choice if you short of time or can't stand yeast. 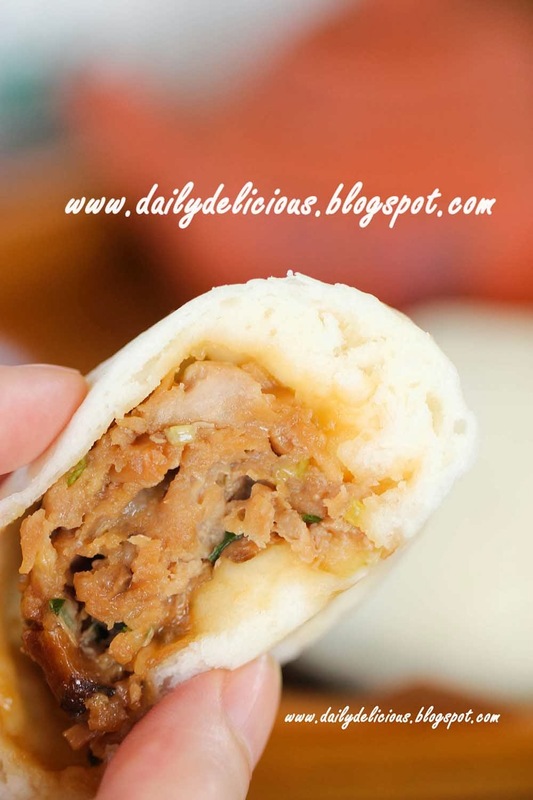 You can use this filling recipe, or use the one in Chinese Steamed Buns with Minced Pork depend on your taste. Put flour, sugar and baking powder into the bowl, whisk to combine. Pour the milk and egg white into the bowl, mix to combine. 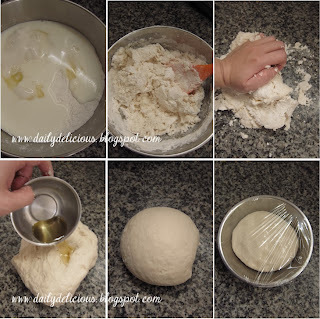 Pour the dough onto the working surface, knead to combine, when the dough form add the oil, knead until smooth. Put the dough in a lightly oiled bowl, cover with plastic wrap let the dough rest for 30 minutes (the dough won't rise ^^). 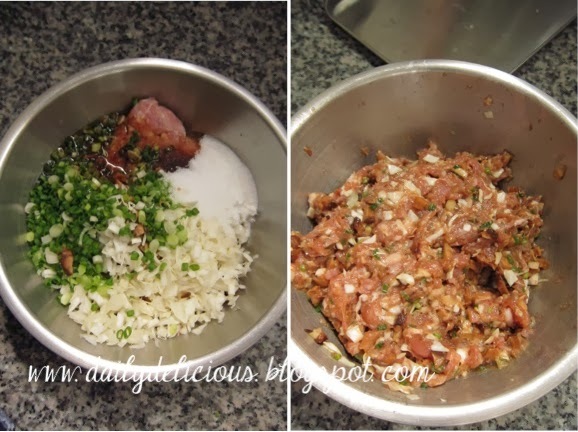 Mix all the ingredient together until fully combine. Flatten each ball with the palm of your hand. Place a filling mixture in center of each dough round, and gather up edges to enclose filling, twisting edges together and pressing to seal and place over paper baking cup (seal side up). Repeat with remaining dough and filling. Cook in a steamer for about 12 minutes taking care to leave each bun enough space to expand. Do not open the steamer while the buns are cooking. Serve warm. great recipe :) can i bake it instead? I think you can bake it, but the bun won't puff as much as steam it.